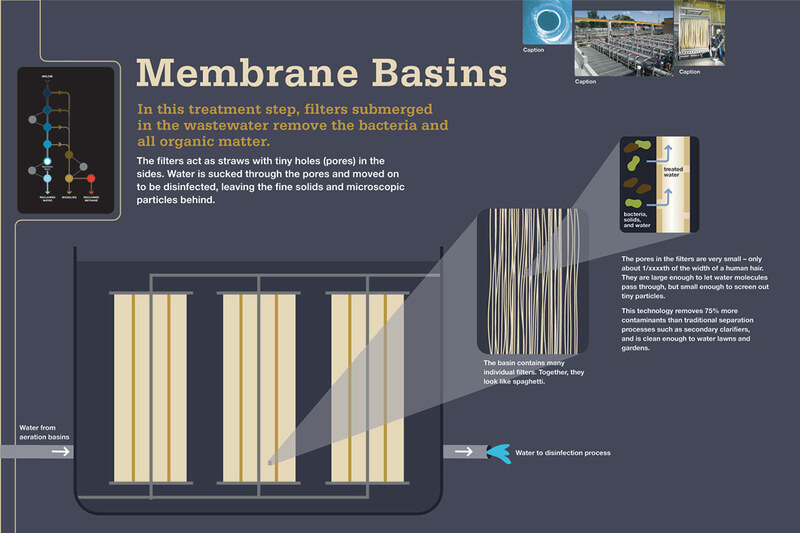 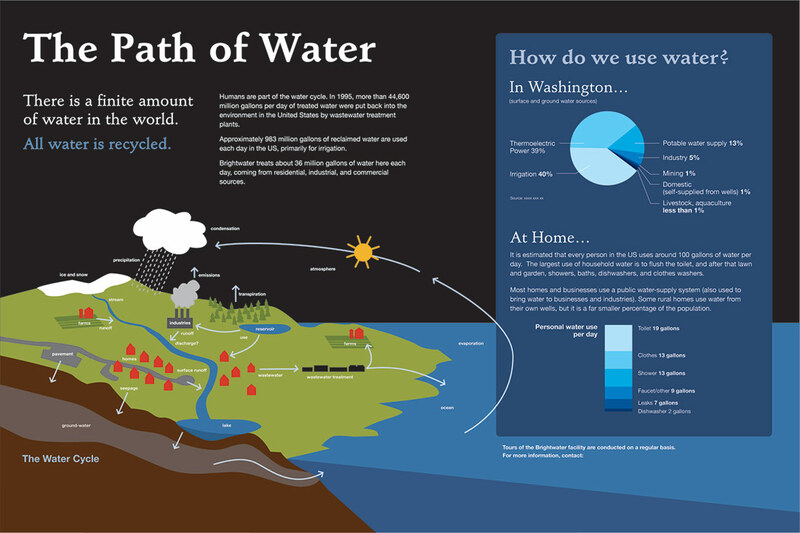 The King County planners of the Brightwater Wastewater Treatment Plant hired LCS to develop educational opportunities and to design interpretive elements for the mile-long treatment site and system. 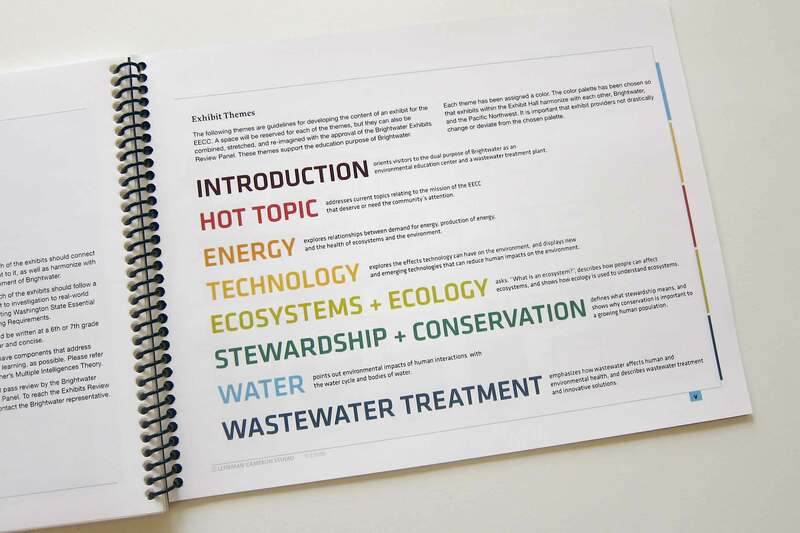 The intent was to inform the public about wastewater treatment, the water cycle, and conservation, and to ultimately help protect the health of people and the environment. 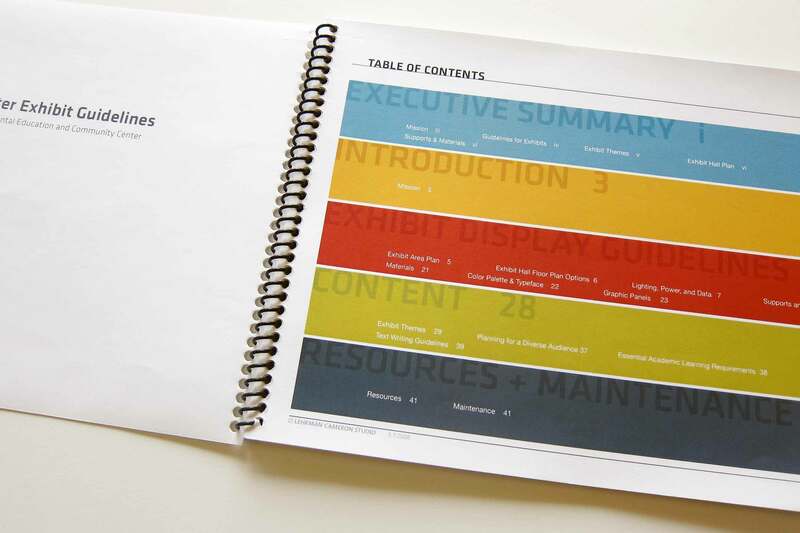 This was a six-year project for LCS. 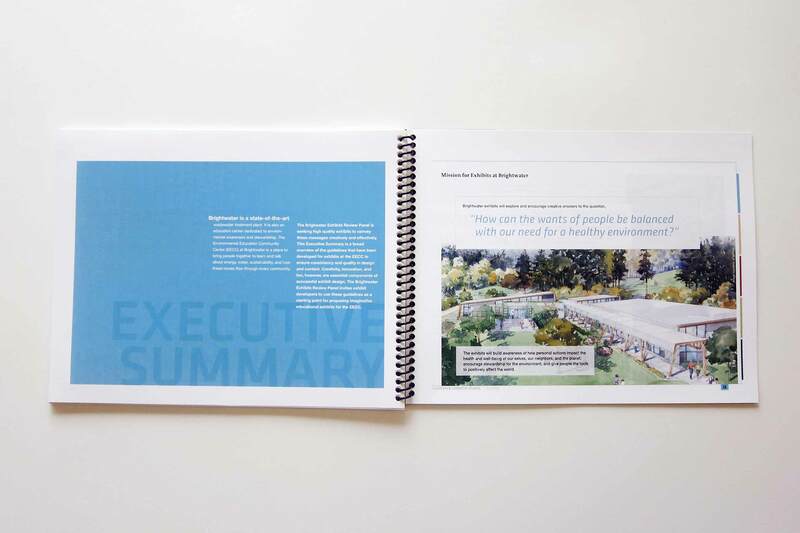 We worked with a huge team, including an arts master planning group; North Shore teachers’ union; engineers, architects, landscape architects, county administrators, and others. 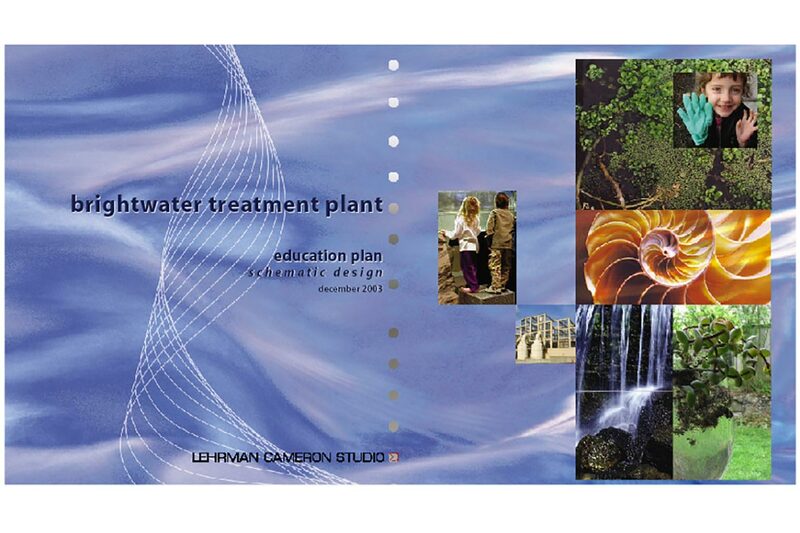 Phase One scope included investigating all potential educational aspects of Brightwater, and then developing storyline, tours, and interpretive elements. 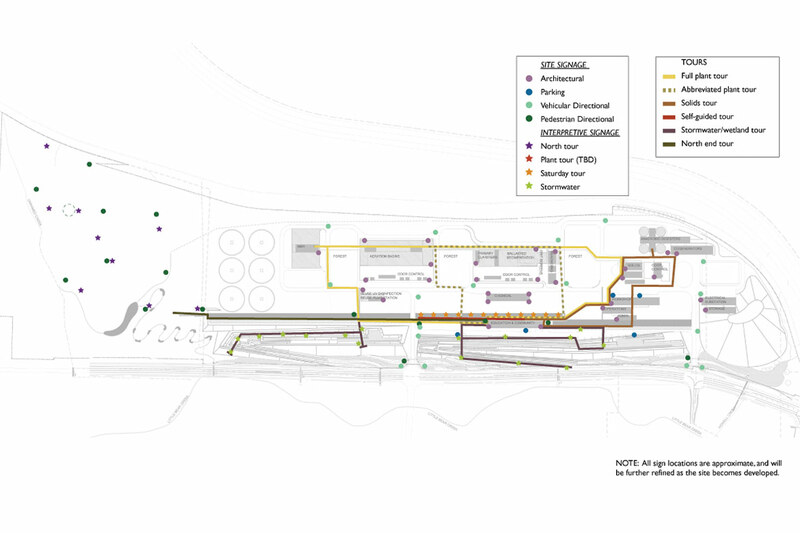 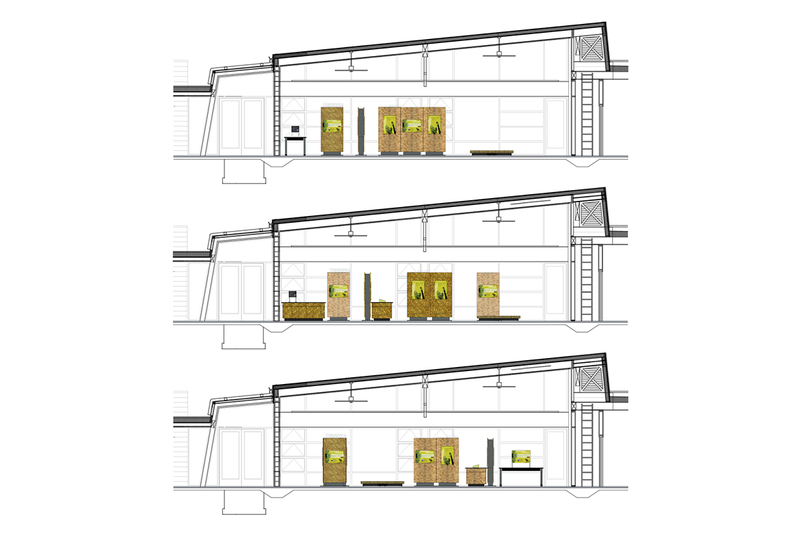 Phase Two was the design of site signage and supports. 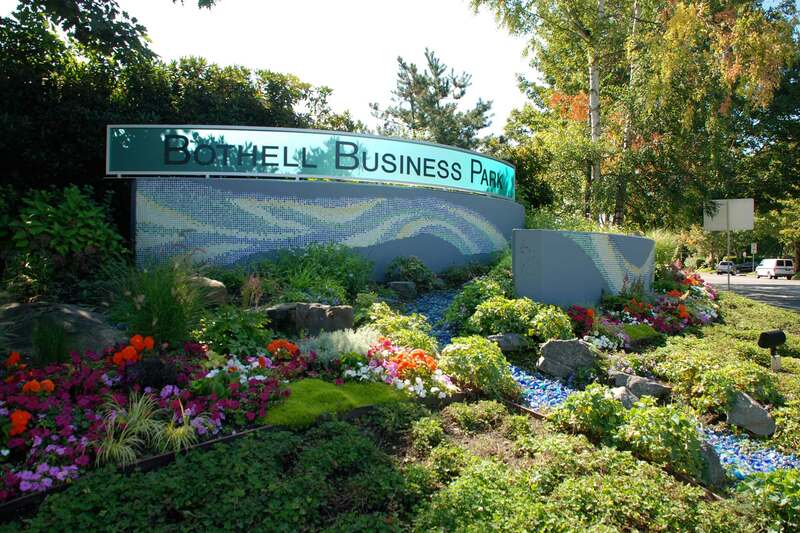 For Phase Three, we designed a sculptural entry sign at one of the project’s transfer stations, using existing sign supports and adding recycled glass tiles made from discarded TV set glass (a reused product by inventor, Bob Kirby). 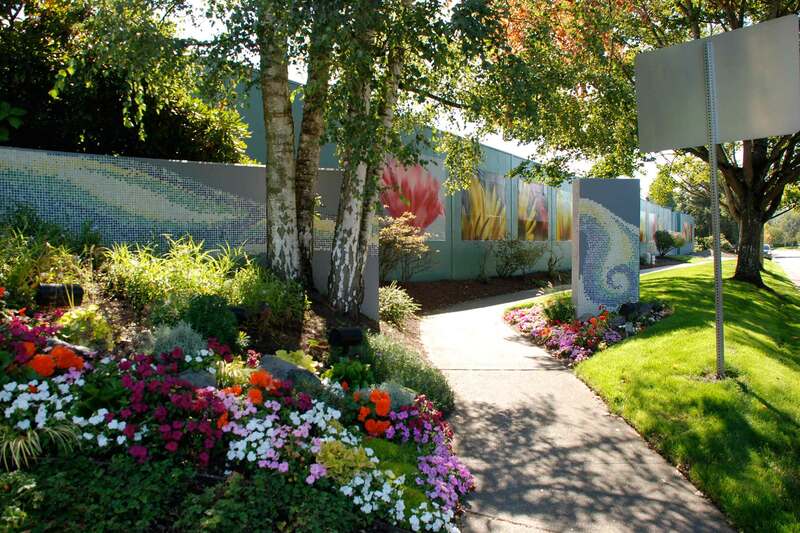 We devised the landscape idea and worked with the county’s landscape designer, Tristan Heberlein. 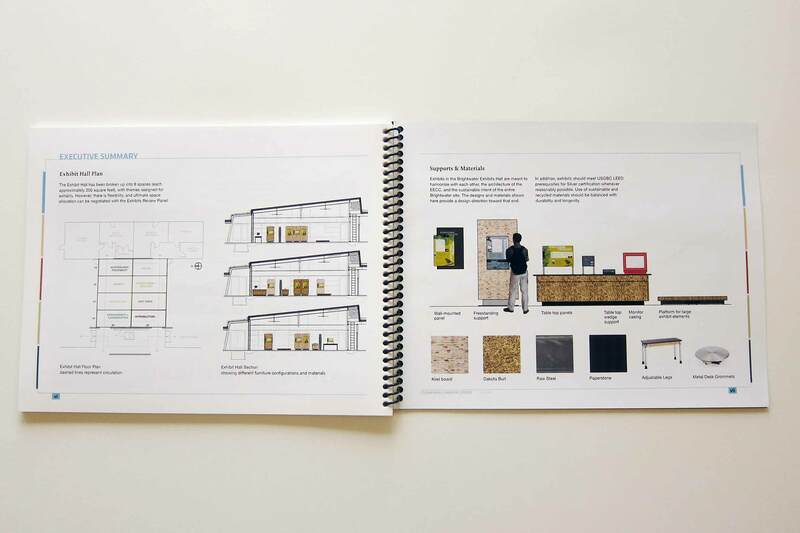 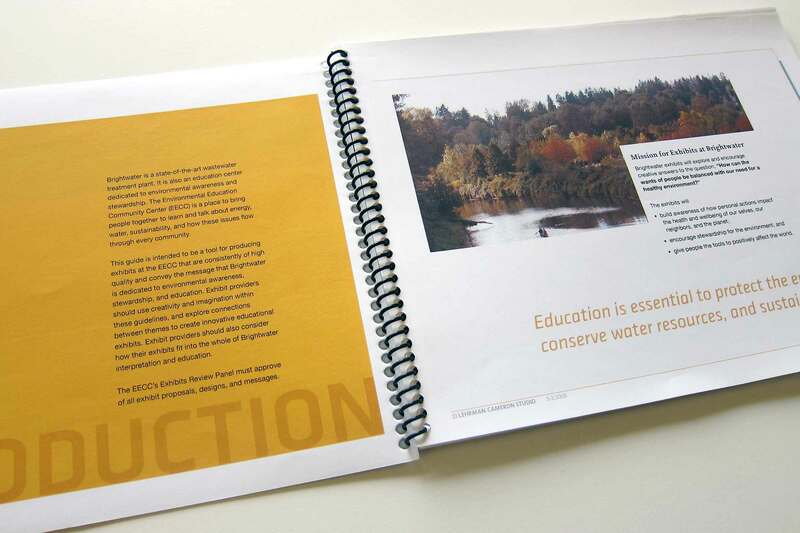 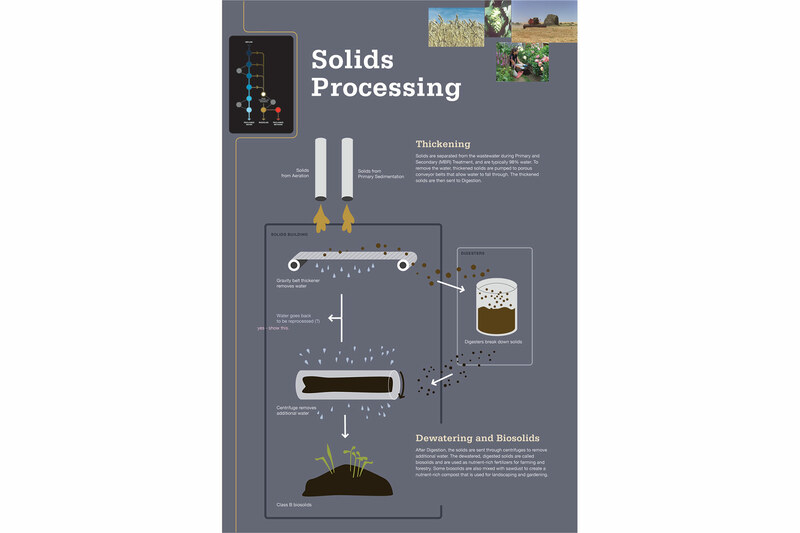 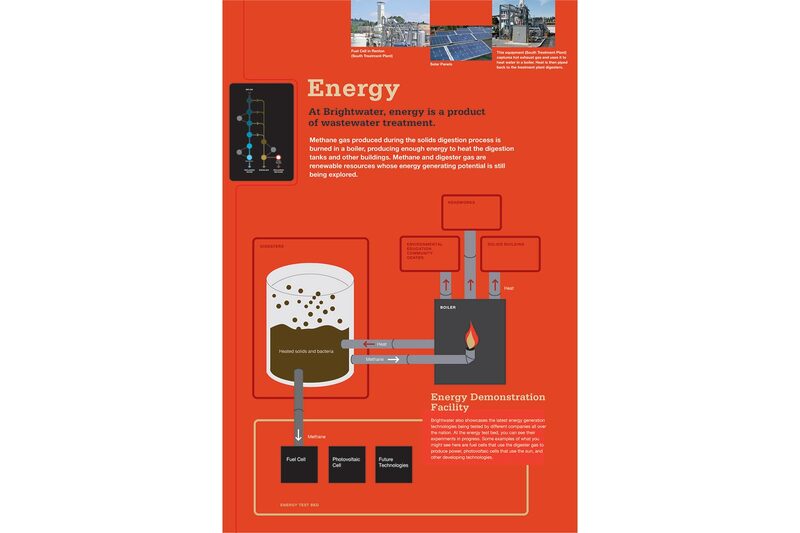 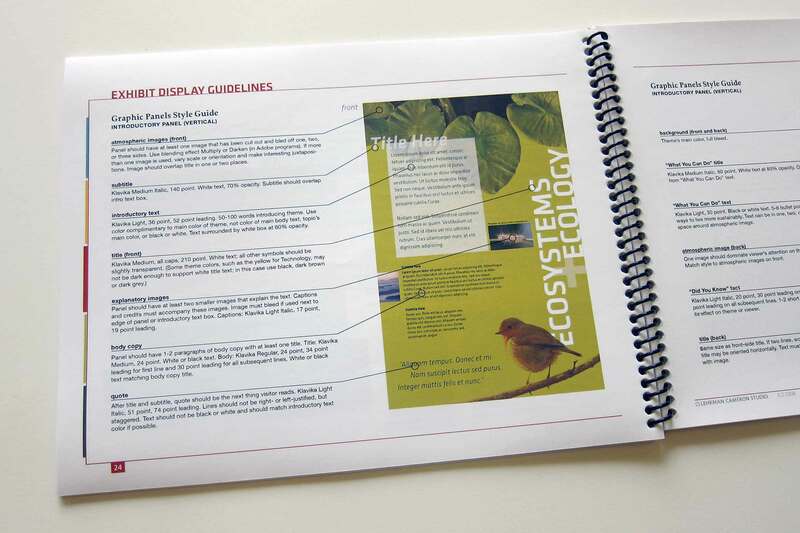 For Phase Four, we developed Exhibit Guidelines for the Environmental Education Center. 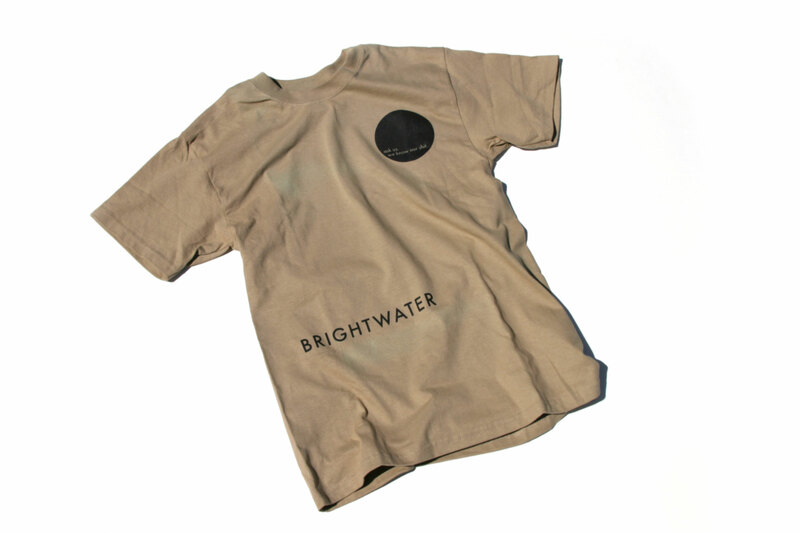 During the project, Mindy submitted an entry for a Brightwater Wastewater Treatment Plant Team t-shirt design competition and her idea won, unanimously. 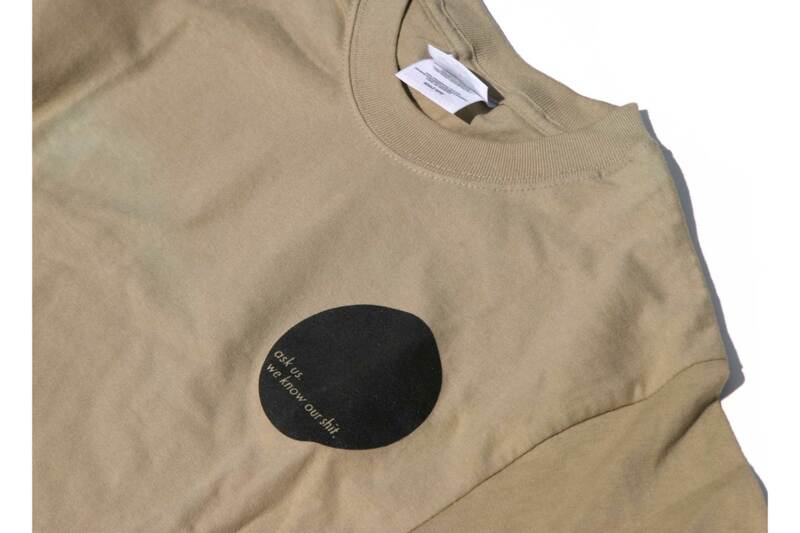 Understandably, however, few people ever actually wear the shirt.